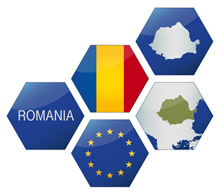 Tax Representation SRL joined the Tax Representative Alliance (TRA) as the Romanian member firm on 1st May 2013. Tax Representation SRL is one of the leading mid-size Bucharest based firms focused on international VAT advisory and tax representation, servicing an international clientele on VAT matters (planning, registration, recovery, compliance, representation, pre-audit) as well as capital gains tax advisory, claw back tax representation (owed by non-registered pharmaceutical market authorization holders) and permanent establishment registration and compliance. Tax Representation SRL currently assists a diverse portfolio of international clients through a multidisciplinary and multilingual team of lawyers, tax advisers and accountants with significant expertise and market knowledge. Being set-up in 2007 as part of a bigger practice of services, it grew into a focused, stand-alone VAT and tax representation practice retaining the advantage of a specialized and independent firm while keeping the wide and long standing portfolio of local and international partners, which makes it a reliable asset for TRA and its current and future member firms and their clients.